A deeply divided nation. Vicious politics. A shamelessly partisan media. A president loathed by half the populace. Smuggling and gang warfare along the Mexican border. Armed citizens willing to stand their ground and take law into their own hands… That was America in 1881. All those forces came to bear on the afternoon of October 26 when Doc Holliday and the Earp brothers faced off against the Clantons and the McLaurys in Tombstone, Arizona. It should have been a simple misdemeanor arrest. Thirty seconds and thirty bullets later, three officers were wounded and three citizens lay dead in the dirt. Wyatt Earp was the last man standing, the only one unscathed. The lies began before the smoke cleared, but the gunfight at the O.K. Corral would soon become central to American beliefs about the Old West. Epitaph tells Wyatt’s real story, unearthing the Homeric tragedy buried under 130 years of mythology, misrepresentation, and sheer indifference to fact. Epic and intimate, this novel gives voice to the real men and women whose lives were changed forever by those fatal thirty seconds in Tombstone. 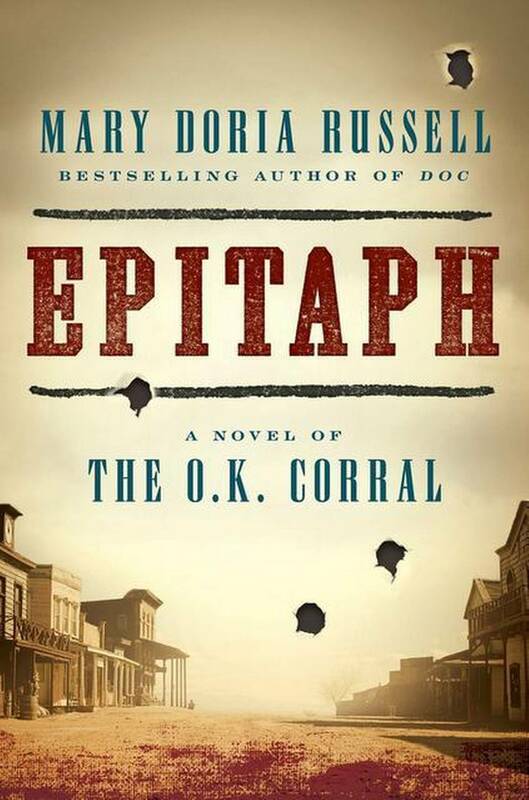 At its heart is the woman behind the myth: Josephine Sarah Marcus, who loved Wyatt Earp for forty-nine years and who carefully chipped away at the truth until she had crafted the heroic legend that would become the epitaph her husband deserved. Book jacket image and book description courtesy HarperCollins. Used with permission. Visit Mary Doria Russell’s official website.